May 29, 2015  A young man with an old musical soul has a spellbinding voice, fluid fiddle playing and warm-toned banjo picking. 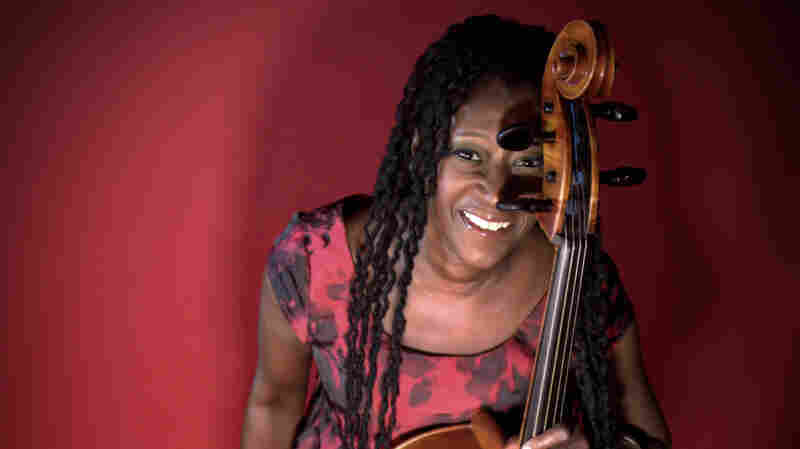 May 28, 2015  The multi-talented cellist leads her string ensemble in concert from the African-American neighborhood of Bedford-Stuyvesant, featuring her two children on voice and drums. May 27, 2015  The English electro-pop duo induces a Boston crowd to dance to an upbeat track from Super Critical. May 27, 2015  "I wanted my music to change the world," says the Kendrick Lamar and Flying Lotus associate. 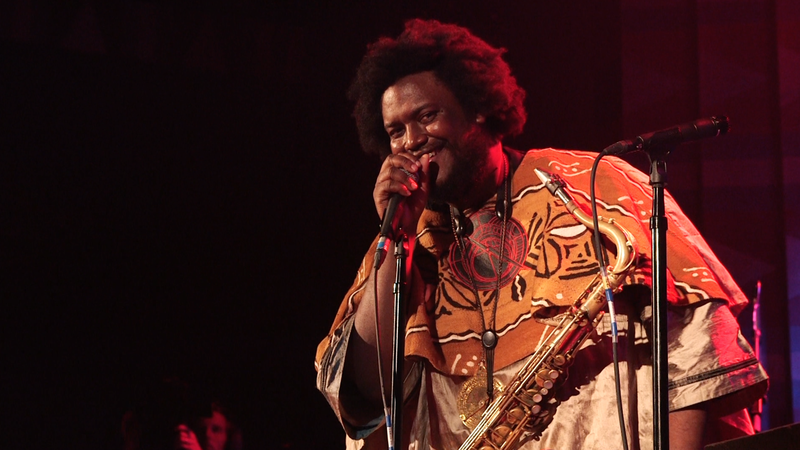 Watch the saxophonist's legitimately epic triple-album come to life with his band, a choir and strings. 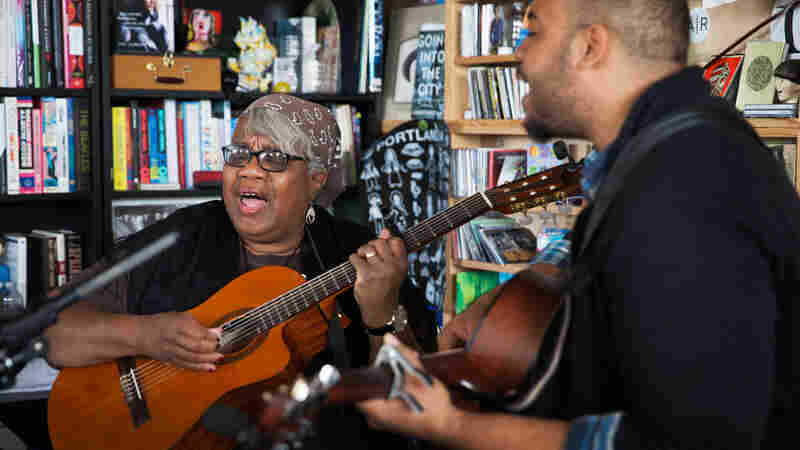 May 26, 2015  The mother-son duo's songs are memorable and singable even days after you hear them. This short set is a perfect introduction to a one-of-a-kind duo. 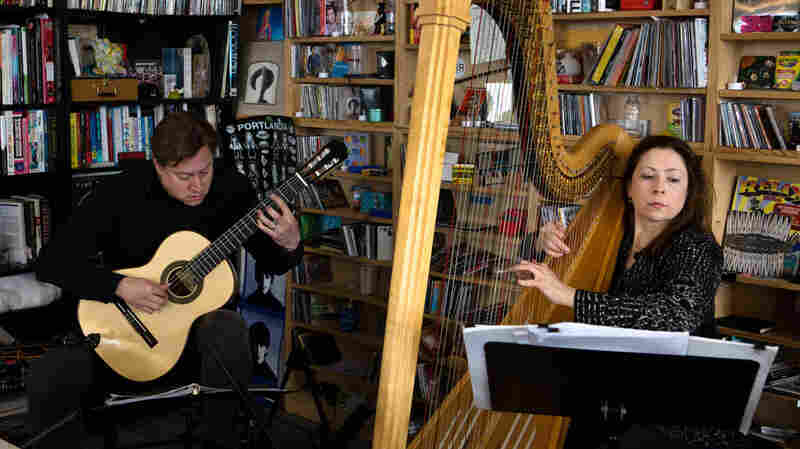 May 22, 2015  Watch two master musicians combine the sounds of harp and guitar into a singular, evocative instrument in music influenced by Africa and Asia. 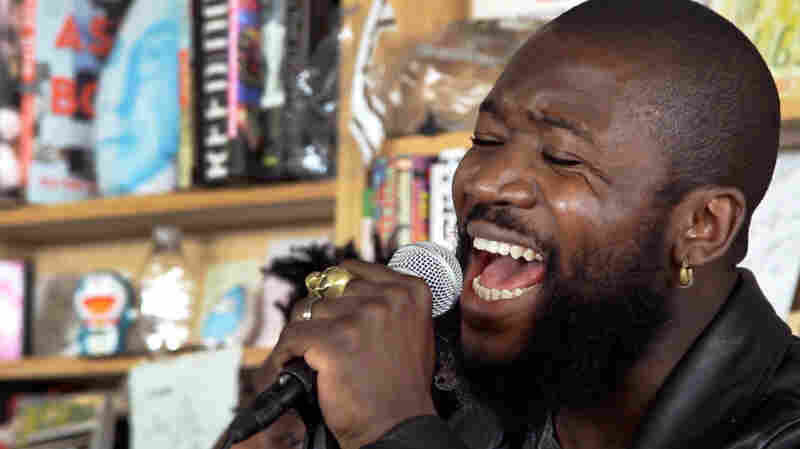 May 19, 2015  The Scottish group's intense, electronics-driven, hip-hop-infused poetry is reduced to just the barest essentials in this set, which spans two songs and just four minutes. 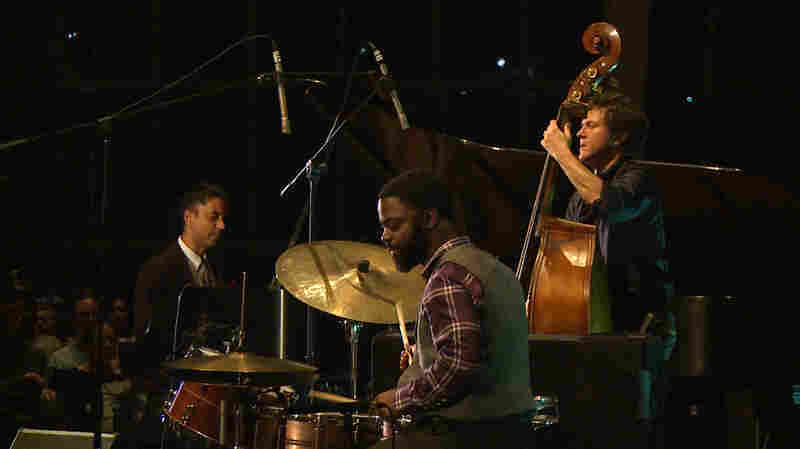 May 18, 2015  Both the saxophonist and the collaborative trio are among the most celebrated and thoughtful jazz acts of the last couple decades. 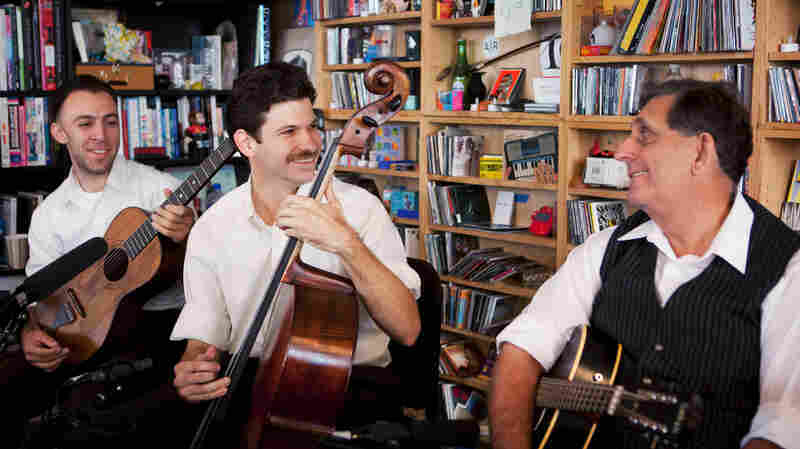 Their new quartet together remakes each others' tunes. 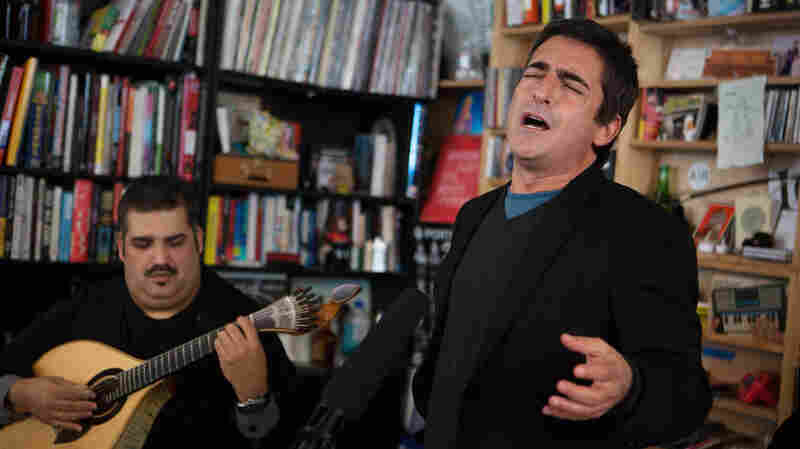 May 15, 2015  A major star of fado music in his native Portugal, Camané sings with a silky baritone — and the weight of the world's sadness on his shoulders. May 11, 2015  What sets Bellows apart from thousands of other guitar-bass-drums bands out there is its heart. 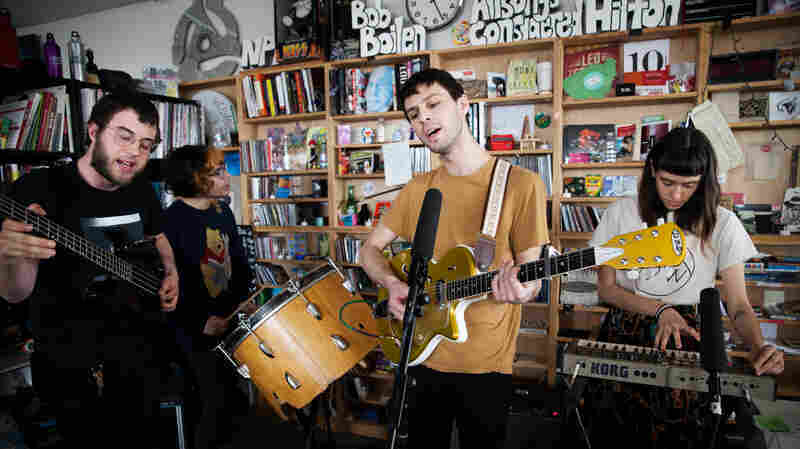 These are enchanting songs, with the power to drift in your head for days. 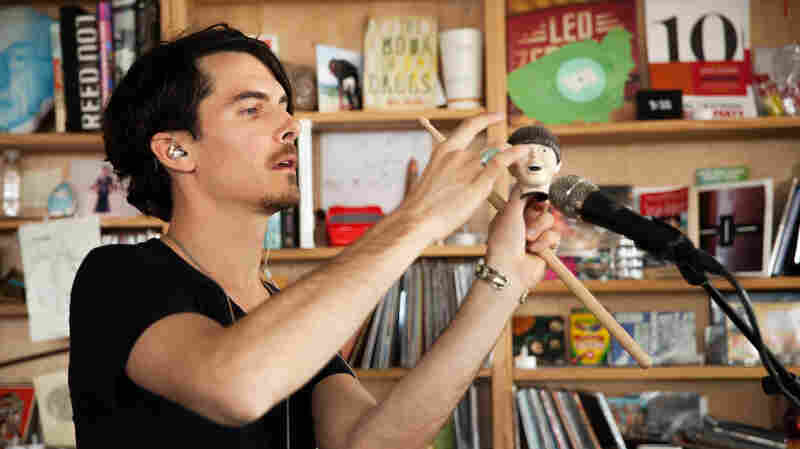 May 8, 2015  Plywood shelving from the Tiny Desk, water bottles and a Paul McCartney doll head become percussion instruments in the hands of a man who's part musician, part magician. 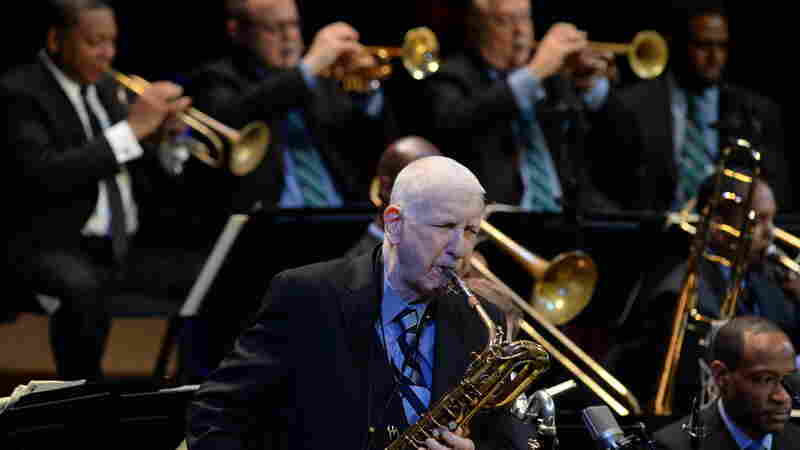 May 7, 2015  The Jazz at Lincoln Center Orchestra salutes its Scottish baritone saxophonist and elder statesman with a program of his favorite Ellingtonia and a new concerto by Wynton Marsalis. 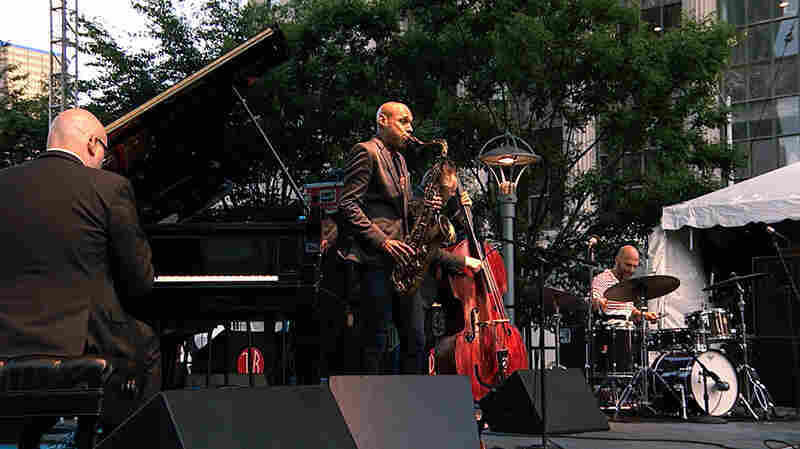 May 6, 2015  A piano trio that's made an art of collective rhythmic risk-taking plays Iyer's distinctive compositions and those of his disruptive heroes, with the backdrop of an Egyptian temple. 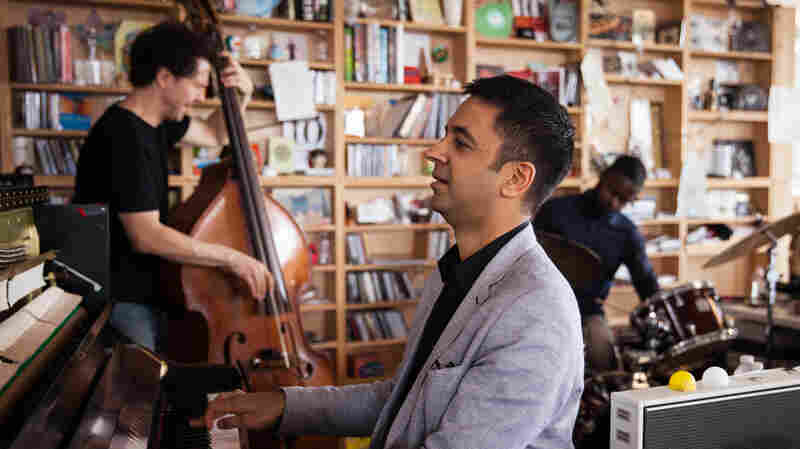 May 4, 2015  Fueled by a dozen years of rhythmic interaction (and a lot of espresso), Iyer's working band transforms selections from throughout the pianist's deep and varied catalog. May 1, 2015  See a singer called "the Sinatra of flamenco," a musical game changer whose expressive style draws on jazz and a range of other genres.